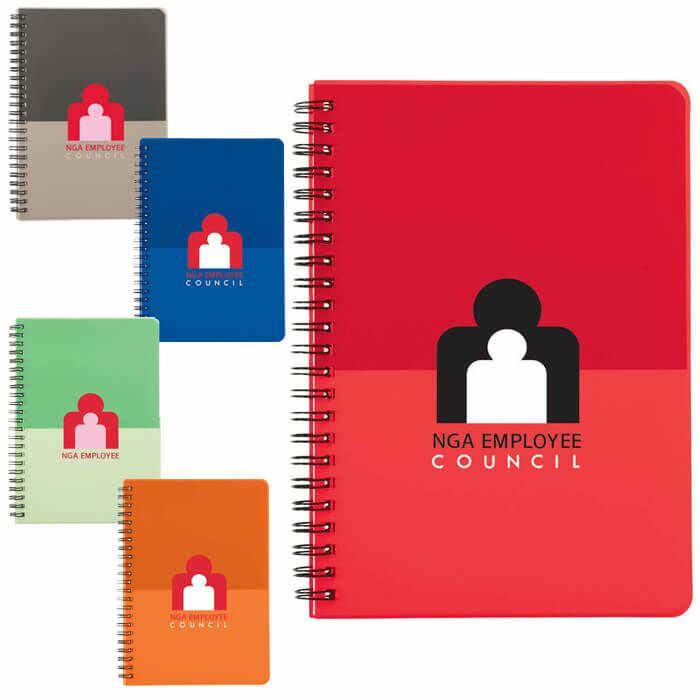 Spiral notebook with color block design. Includes 70 pages of white, ruled paper. It was great working with Promotion Choice to order our Journals for the retreat. They ensured the logo was of a high enough quality to print well on the covers. Fast response in correspondence and in shipping finished product, which looked great. I will be using them again in the future!